Ibec and the CBI, the two major business groups in Northern Ireland and the Republic, today launched a major new report that sets out ambitious proposals to upgrade the all-island transport network. The groups said urgent investment is needed to support exports, job creation and business development, as the population of the island increases over the coming years. The business groups warned that the major challenges created by Brexit demanded a new, concerted and coordinated policy response to mitigate the significant risks it poses to all-island development. Despite the Brexit vote, all-island investment must remain a priority. The task now is to ensure that vital infrastructure is delivered during this period of uncertainty. Ibec and the CBI will continue to identify and facilitate all-island investment and funding mechanisms as the Island adjusts to the changing political backdrop. A major upgrade of the island’s road network: The road network will remain the most important means of connecting key urban centres. A proposal mapping the completed Network: So that 85% of the island’s population live within 10km of their nearest inter-urban route. Planning for this Network to start now: So contracting and construction can get underway at the end of this decade. The immediate priorities to include: completing routes already in development such as A5 and A6 upgrades to Derry/Londonderry and the entire north west and the M1/A1 Sprucefield bypass to better link Dublin and Belfast and major upgrades to the N20 from Cork to Limerick; the capacity of the M50; the N15 linking Letterkenny to Sligo and the A5 route extension to Letterkenny. New funding streams for this vital investment: The cost to upgrade the transport network is affordable, but the funding sources need to be agreed and sources other than public investment are needed. All possible financing options are explored: including off-balance sheet financing from strategic investment funds, EIB loans and European Commission funding via the Junker Fund. Move around and across the island: The ease of movement for people will be significantly improved especially where there are no motorways now. Do business: The network will make it easier for companies to transport, market and sell goods and services on reliable predictable all-island basis. 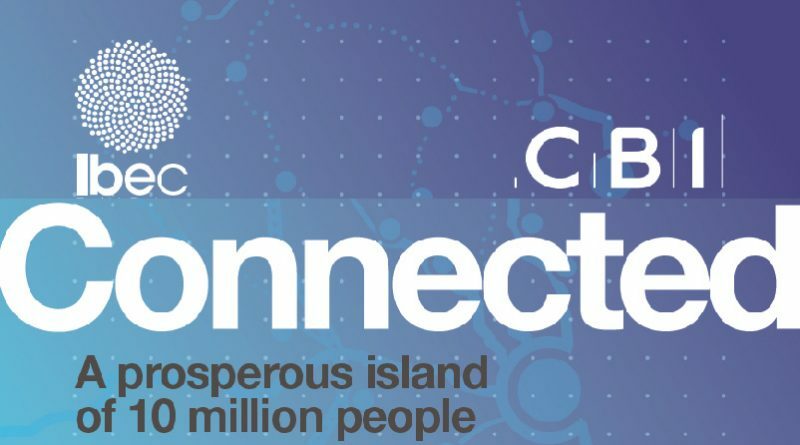 Connect with the rest of the world: by linking the entire island into a network that connects with all the island’s international ports and airports. Promote technology/innovation: Driving adaption and use of new fuels and other possibilities such as driverless and electric vehicles for goods and people. Improve competitiveness: From new infrastructure delivering reduced costs, and more predictable journey times. Support Tourism/Sport: The Network will strengthen the island’s credentials as an ideal location to hold a major sporting tournament. Embed peace and prosperity: World class infrastructure helps to bring economic opportunities and prosperity to every region, locality and community.